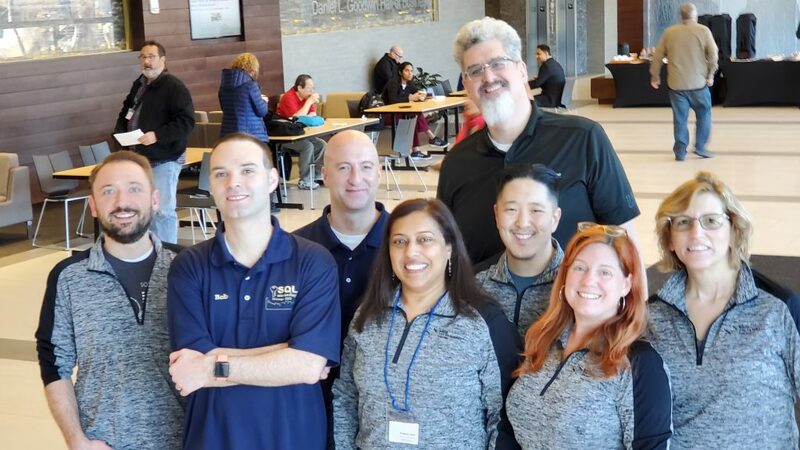 Another SQL Saturday Chicago has come and gone, and I wanted to take a moment to reflect on what we have spent the last 11 months planning. 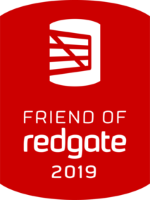 It truly was our best SQL Saturday yet, with 422 attendees. We also ended with 130 on our waiting list, which is another record. Even with this larger venue it appears our demand still exceeds the amount of room we have. We also had more churn this year than ever before in terms of attendees. This is a great thing, as many people realized they were unable to attend ahead of time and cancelled their registration, thereby opening up a spot for someone else. In years past, we printed a “welcome guide” which included a schedule, map of the venue, and other pertinent information. This time around we wanted to reduce printing and paper usage, so we discontinued the printed guide. In addition to encouraging attendees to consult the online schedule or use the Guidebook app, we had large poster-size schedules printed and placed them around the venue. These seemed quite popular as there were often several people gathering around them deciding which session to go to. They also used considerably less paper and reduced our printing costs by 75%. Finally, I would be remiss if I didn’t thank the people and organizations who helped make this year’s event a great success. Thank you to all of our attendees – without people willing to come and learn there would be no reason to do any of this. Thank you to our speakers, who are willing to take time out of their lives to prepare presentations and then present them at our event. Many of them also traveled to Chicago at their own expense to do so! Thanks to our sponsors. Without their financial support, this event would not be possible. A huge thank you to our venue, Benedictine University. Not only do they have a great space to host our event, but they are extremely easy to work with as well. Also deserving of some shoutouts are Clara’s Restaurant for hosting our speaker dinner (their food is awesome – very worth a visit if you’re in the Chicago suburbs) and to Bar Louie for hosting our after-party on Saturday. And finally, to our SQL Saturday organizing team, which is a well-oiled machine at this point. I feel very fortunate to have such a dedicated and dependable team to plan and execute this event with, and I can’t wait to do it again in 2020!